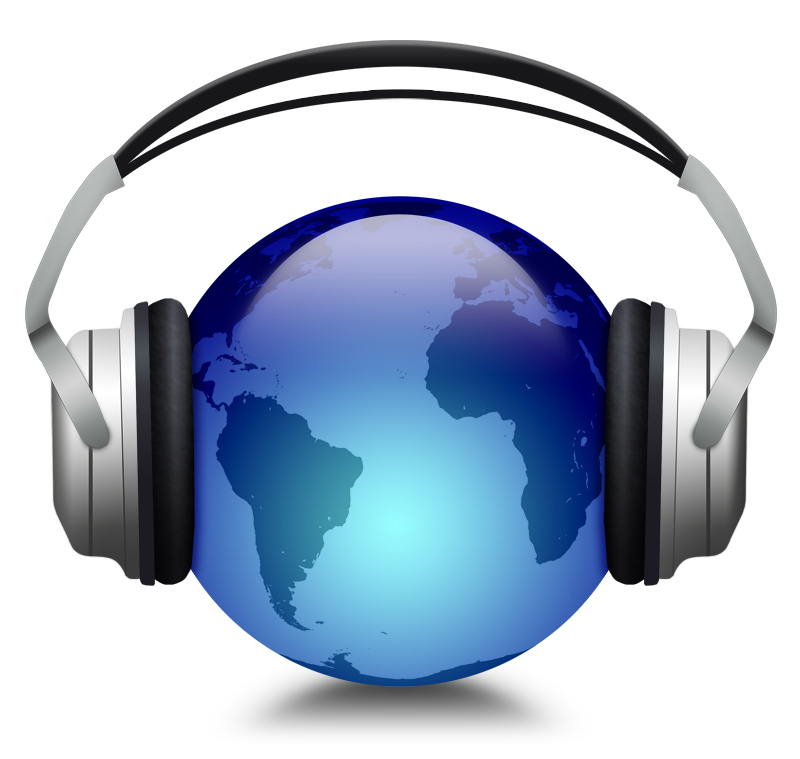 Today I was a guest on Martha Manikas-Foster’s excellent radio program Inside Out. You can check out a podcast of my interview with her here. I’d love to hear your thoughts. 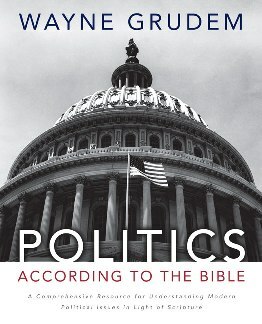 I’m reading Wayne Grudem’s recent book, Politics According to the Bible (Zondervan, 2010). A conservative, Grudem is responding to books from the left like Jim Wallis’ God’s Politics. In my opinion, he makes some good points and some not so good points. Since this blog focuses on money, simplicity, giving, and justice, I thought I’d offer an evaluation of Grudem’s sections on “economics”, “private property”, and “giving to the poor”. In this area, I’m very disappointed. I’m quite concerned that Grudem’s biblical foundations are deeply faulty, and that many Christians who read him are being led to very wrong conclusions and opinions. His treatment of both Old and New Testament texts is vastly different from ours in the Lazarus at the Gate / Global Poverty Impact curriculum. And since Grudem’s book seems like it is meant to also be a textbook for seminary students, I want to offer a few thoughts on it for the readers of this blog. In his chapter on Economics (chapter 9), Grudem takes the Bible as affirming private property. He seems to take this as an absolute: in fact, the right of the individual to acquire as much wealth and private property as possible by all lawful and moral means. He begins by quoting the prohibition on coveting (Ex.20:17) as assuming private property in the sense that he means it. He immediately condemns communism, or public ownership, on the grounds that it seeks to abolish private property. He cites Leviticus 25:10 as an example of how God returns land and property to individuals – a quotation I will evaluate below. He quotes 1 Samuel 8:10 – 18 (the warning of Samuel to Israel that a king will tax, take, and enslave) as evidence that big government power is an evil. He believes that economic development is God’s clear intention for the creation. He affirms the money currency and free markets as the direct derivation from biblical principles. He affirms the Bible’s concern for the poor but critiques government attempts at alleviating poverty. He believes government should encourage businesses. He believes taxes should be as low as possible for all individuals, and lower than 20% for corporations. He comments on capital gains taxes, income tax rates, and eschews a higher tax rate on the rich. Based on his reading of selected Scripture, he believes that God gave people the unlimited right to pass on economic inheritance to their children (Proverbs 19:14; Numbers 27:8 – 11) and that government should not interfere with that (Ezekiel 46:18). He says, “The Bible clearly takes the side of individual ownership of property. My conclusion is that the estate tax should be permanently repealed.” (p.309) Etc. etc. For the moment, I’ll set aside the fact that American wealth is, to a very significant degree, built on stolen land (from Native Americans, Chicanos, and Mexican Americans), stolen life and labor (from African Americans), stolen wages (from underpaid immigrant strikebreakers to today’s migrant workers, with underpaid women throughout), and stolen health (from people affected by pollution, toxins, harmful products, workplace injuries, etc. who went without legal defense). I’ll only address Grudem’s misuse of various Scriptures which undergirds his thinking about economics and private property. Even though we cannot reinstate the Law of Moses as if we were Mosaic Israel, it is still valuable to discern principles that we will find developed further in the rest of Scripture. One lesson is that in Israel, wealth was God’s blessing for all, including future generations. Leviticus 25 is quite significant because in this section we find the clearest statement about God’s desire for Israel’s use of the land over time and as it relates to family and “private property”. But Grudem truncates it down to the individual. Leviticus 25 demonstrates that God’s vision for biblical Israel was virtually the opposite that Wayne Grudem has for America. Israel divided its land up by clan and family in a roughly even distribution, starting from the point they settled the Promised Land. The fiftieth year was called a “Jubilee year.” It was a “reset button.” During the Jubilee year, people returned to their ancestral lands (Lev.25:13), even if they were indentured to someone else in a debt-contract. They did not pay for the remainder of the debt contract that they left unfulfilled. Land, too, would return to its original tribal and familial boundaries (Lev.25:14 – 28), so people could not be permanently displaced from their ancestral lands. In other words, land could not be permanently bought or acquired. If an Israelite fell upon hard times and was forced to sell family property, a kinsman-redeemer was required by Law to intervene (Lev.25:25 – 28). But even if there was no kinsman-redeemer, that Israelite would be restored to his ancestral land at no expense! This also means that children and grandchildren would not be penalized for the laziness or misfortunes of their parents and grandparents. Because land was wealth, there were very strong measures taken to ensure that, over time, no family and no individual could accumulate land at the expense of someone else (which was, incidentally, the only way to accumulate it). God was weaving a deep principle into Israel’s existence: ‘The land, moreover, shall not be sold permanently, for the land is Mine; for you are but aliens and sojourners with Me’ (Lev.25:23). God was reminding Israel of their status as ‘aliens and sojourners.’ They did not, in fact, own the land. God did. And their experience of that reality lay in the fact that God pushed a “reset button” every fifty years on land boundaries, so that every Israelite could enjoy their ancestral land as a gift from Him as if they were first settling the Promised Land! This was something like what humanity should have experienced had the fall never happened: God was bestowing the garden land to humanity and every family would have their own portion. Imagine if the United States followed a policy of land restitution to Native Americans, African Americans, and Chicanos. We would have a very different situation to say the least! Or, imagine if there were some way to design a social system so that the children and grandchildren of parents who fell on hard times would not be punished for what happened in the generations before them. Instead, our social system forces children of lazy and criminal parents to swallow their parents’ choices, as if we could safely assume that children of those people will share their parents’ characteristics. And, we essentially say that many of the poor are poor because they keep having children. Historically, European American people infected by the disease of racism allowed children of black slaves and sharecroppers to inherit all the unmitigated disadvantages they could handle, and more. Even for people who claim to be without racial prejudice, which may be the case on a personal level, they fail to see how the economic and legal system we have perpetuates injustice by forcing children and grandchildren to bear the brunt of all their ancestors’ misfortunes and choices. From 1979 – 2007, the income gap tripled. In roughly the same period, the racial wealth gap between white families and black families increased by fourfold. But the Mosaic arrangement of land and wealth in ancient Israel would have alleviated all that. I am incredulous, then, that Grudem can read Leviticus 25 and still say, “The Bible clearly takes the side of individual ownership of property. My conclusion is that the estate tax should be permanently repealed.” (p.309) How can he wrench the idea of “private property” out of its context and foundation in Leviticus 25? For people to have the unlimited ability to accumulate wealth and pass it on to their children is precisely the opposite of what Leviticus 25 says. And quoting Proverbs or any other Old Testament passage about “inheritance” or “hard work” is of absolutely no use for his case. That is because every other Old Testament passage takes Leviticus 25 as the starting point and foundation. So “inheritance” in Proverbs includes God’s “reset button” of land redistribution to its original intended boundaries and nothing beyond it. It most certainly does not imply that parents should have the ability to pass down unlimited amounts of wealth and property to their children, especially when they gained it at someone else’s expense, but even when they gained it “fairly”. Contrary to what Grudem thinks, there is not even a notion of economic or technological progress in Israel’s Scriptures. In fact, an overarching spirit of anti-progress is bound up in the Mosaic legislation to prevent Israelites from displacing each other from the land. Land was the most desirable economic commodity of ancient times, the driving force for economic growth and trade, the symbol of status, and the factor of production attached to power in that era, which is significant in that Israel valued land even more, perhaps, than other civilizations did. Their land was the tangible manifestation of their covenant relationship with God. Yet precisely because of this, land was frozen in its distributed arrangement by tribe, clan, and family. It is not even as simple as the contemporary Roman Catholic posture, “Justice takes priority over progress, but progress that equally benefits everyone is acceptable.” The entire notion of progress is called into question by the Bible. It is quite impossible that Israel thought they should ever improve on the land as it was given to them. The sabbatical ordinances of letting the land lie fallow for an entire year reflects a certain ideal, the ideal of humanity simply receiving provision from the land in as undisturbed and unprovoked a manner as possible. Israel was to let the land experience Sabbath rest every seventh year (Lev.25:1 – 8 ) and every fiftieth year, that is, after seven Sabbath cycles (Lev.25:9 – 12). These Sabbath years for the land were more than simply a year of planned crop rotation to let the soil recover. It was an act of trust in God to provide what they needed, without agricultural planning, irrigation, or cultivation. Every seventh day, seventh year, and fiftieth year, Israel was to experience something of a return to the garden of Eden, eating freely from the land. Furthermore, it was impossible for Israel to plan intelligently for the future because God commanded the people to sacrifice the best tenth of their harvest (normally used for future seeding) and their animals (normally used for breeding). The embodiment of future economic certainty was destroyed to leave room for God Himself to supply it. Economic development under these conditions was not even an intellectual category for Israel. Improving domestic stock through intelligent breeding was literally laid on the altar. Thus, rather than seeing the land as an object God gave them to harness, Israel understood the land as God’s medium of blessing His covenant people. The land was one of Israel’s sources of identity. It mediated their existence. The promised land mediated between God and Israel in the same way the Edenic land mediated between God and Adam. The land was sustained by God (not by them) and supervised providentially by Him (not by them) in correlation with Israel’s obedience to Torah, not in relation to whether they used the best known agricultural methods, worked the hardest they could, etc. This is clear from Deuteronomy 11:11 – 17. Israel saw a significant distinction between their land and the land of other nations, like Egypt. God would bless Israel on their land because of their love for God and love for neighbor, the original responsibilities of both Adam and Cain. No other people had a land like this one. No pesticides needed. No chemicals. Organic. Sustainable. Tiny carbon footprint. Furthermore, the Jews were not to loan money to each other at interest (Ex.22:26 – 27, Lev.25:35 – 38, Deut.23:19, Ezk.18:10 – 18, 22:12) which put a check on capital, the second factor of production and the driving medium for innovation. Banking as we understand it today, which already existed in ancient Babylonia and the Mesopotamian region according to Hawkes and Wooley, was impossible in Israel. With this prohibition, Israel had no incentive to profiteer at the expense of creation’s resources. They had no impetus for technological advancement, and the institutional motivation for economic growth was dismantled. Israel could not make human ingenuity part of the process of receiving God’s blessings from the land. They could not link the future to the present by means of money. They could not even describe risk in monetary terms, but instead had to place time and uncertainty into the hands of God. In fact, given that the practice of usury favors the wealthy, as they are the only ones with such capital to loan out, it is not surprising that God forbade usury among the Israelites. Once again we see God instituting laws that prevented the acquisition of more property, protected people from their own greed, mitigated against the permanent displacement of the homeless, and halted people from evaluating everything and everyone in terms of material wealth. The church during the Middle Ages likewise generally forbade the practice of interest-rate lending, carrying over the disdain for usury present in early Christianity and also in ancient Greece. Only with Calvin and his followers, with their reliance on trade and commerce for funds, did Christianity and usury become bedfellows. To ill effect: We have not had a vigorous Christian critique of banking for about five hundred years. It would come in useful right about now with the global financial system in a crisis. When God revealed Himself personally in Jesus of Nazareth, he called his Jewish followers to disinherit themselves from the Mosaic land system (e.g. Matthew 6:19 – 34; 19:13 – 30; Luke 6:12 – 49; 9:51 – 62; 12:13 – 34; 14:25 – 35; 18:15 – 30; 21:1 – 4; etc.). He did this because of his global evangelistic mission; Jewish disciples couldn’t hold onto their ancestral lands and go out into the Gentile world at the same time! He did this also because the generosity of his people was now unlimited. God was no longer utilizing a stable economic system in which people were anchored in a land, which would then become a geo-political community. Instead, Christians are called by Jesus to be a mobile, flexible, pilgrim people, not claiming permanent roots in a land, but looking forward to reunion of the new heavens and new earth. I recently rediscovered this poem, and it inspires me to keep looking to Jesus to help me give to the poor, as well as to work towards justice. It was written by a working-class Chilean woman in 1973, shortly after Chile’s president, Salvador Allende, was overthrown. A U.S. missionary translated the work and brought it with her when she was forced to leave Chile. It was published in the July 1985 issue of Sojourners magazine. I am a woman born of a woman whose man owned a factory. —I am a woman born of a woman whose man labored in a factory. I am a woman whose man wore silk suits, who constantly watched his weight. —I am a woman whose man wore tattered clothing, whose heart was constantly strangled by hunger. —I am a woman who watched two babies die because there was no milk. I am a woman who watched twins grow into popular college students with summers abroad. —I am a woman who watched three children grow, but with bellies stretched from no food. —And he told me of days that would be better, and he made the days better. We had to eat rice. —My children no longer cried themselves to sleep. And I felt like a peasant. —And I felt like a woman. —Like a woman with a life that sometimes allowed a song. —And I saw a man. And together we began to plot with the hope of the return to freedom. —I saw his heart begin to beat with the hope of freedom, at last. Someday, the return to freedom. There were planes overhead and guns firing close by. —There were planes overhead and guns firing in the distance. —I gathered my children and ran. —But the guns moved closer and closer. —And then they came, young boys really. —They came and found my man. —They found all of the men whose lives were almost their own. And we all had drinks to celebrate. —And they shot them all. —And then they came for me. —They stripped us of the dignity we had gained. And they treated us to beef. —And then they raped us. It was one course after the other. —One after another they came after us. We nearly burst we were so full. —Lunging, plunging – sisters bleeding, sisters dying. It was magnificent to be free again! —It was hardly a relief to have survived. The rice – I’ve replaced it with chicken or steak. —The rice, I cannot find it. And the parties continue night after night to make up for all the time wasted. —And my silent tears are joined once more by the midnight cries of my children. And I feel like a woman again. —They say, I am a woman. I just watched a youtube video of Elizabeth Warren’s 2008 lecture “The Coming Collapse of the Middle Class.” It was very clear and helpful. I’m going to distill it, and add a few thoughts of my own. I hope that you will chime in on a subject we haven’t explored yet: the intersection between promoting giving and politics. Why is this intersection important? * taxes by 25% (because moms are now working in addition to dads). The family paid 50% of its income for those five things above on 1 income back in 1970. But now, the family pays 75% of its income for those things on 2 incomes. The family saved 11% of total income in 1970, and now we save a whopping 0%. In fact, we are in debt. We’re assuming more risk and stress. What happens if one parent loses a job or gets really sick? What happens if we need to care for elderly parents? So how in the world is the average middle class Christian family going to give towards global poverty, when we feel like we’re skating on the edge, or already treading water? If I’m interested in giving, and in helping other people give, I’ve got to be interested in the system and not just individual choices. I’ve got to care about why our big “non-negotiable-feeling” expenses (housing in wealthy school districts, etc.) have shot up so much, not just why we are in more consumer debt. So why has this happened? One reason is that in the 1970’s, bank mortgage law changed to consider 2 incomes and not just 1 income; that shifted the entire real estate market towards larger homes. Now in many places, it’s not even possible to get a mortgage without 2 incomes. We need to go back to smaller homes, so that we can afford mortgages on 1 income. We really have to consider living in intentional Christian community, in the city and the burbs. In the long run, Christian real estate developers and policy makers need to leverage their influence in city planning and housing policy. Bringing down housing costs would free up dramatically more money to give. Our overall health has really changed over the last 40 years, too. For those of you who know me, you know that my family and I are really into eating healthy because society’s change in food is making us sicker. One in three Americans born after the year 2000 will have diabetes. So we’ve got to eat healthier and ask stores to carry healthier foods. We need to stop Monsanto and other companies making genetically modified food, which gives us allergies and inflammation. We need higher standards for testing and packaging. We need to stop giving $8 billion in subsidies to corn producers, which doesn’t go to the farmers anyway but rather chemicals and oil companies. And dare I say that we need a public option to drive down health insurance costs? Private health insurance companies made a 26% profit during 2009, during the depth of this recession! Why is insurance a profit-making industry? Lowering our health costs would free up more money to give in the long run. We need to raise the tax rate on the rich. It’s fairly clear from the 1920’s, 1980’s, and the 2000’s that rich people do not stimulate the economy or create jobs. They put their money in risky financial investments that then “need” government bail outs. The rich give less as a % of their wealth, so helping the lower and middle classes will result in more giving overall. We need to reign in banks and financial institutions. They changed the real estate market, then bet against middle class families in the mortgage crisis. They promote overconsumption and debt. They oppose the Consumer Financial Protections Bureau which is like opposing a “list of ingredients” on our food packaging, etc. And on a global level, the IMF and World Bank are dubious. The ancient Jewish, Christian, and Greek suspicion of interest rates was well founded, because they recognized how the rich could further take advantage of the poor through interest rate lending. Unregulated profit motives and unchecked private power will always grind down the face of the poor especially. I’m sure you can think of more, and I’d like to consider it. If we care about giving, and especially middle class giving, then we need to care about the systems we live in, and not just individual consumer choices, as important as those are. What do you think? Do you care more about the local community, the country as a whole, or international issues? International poverty is on a different scale than domestic, meaning they can be much poorer. But because of the distance, they are also harder to reach effectively and work with directly. Or maybe the possibility of traveling there is a plus for you? Are there certain groups you feel for? Children, homeless, immigrants, women, teenage moms, elderly, cancer patients, starving artists? I’ve found that being a new parent opens my eyes to the benefits my child has, compared to many other children who live just a few miles away. So it makes me more open to helping other kids, for example reading in classrooms. How much interaction do you want? Do you like other kids, but only at arms length (or farther)? Or do you want to see gap-toothed smiles as you teach and play with them? There’s a wide range of interaction from none (just writing checks) to regular meetings like being a Big Brother / Big Sister. One aspect of giving I don’t like is that many charities will sell the names and addresses of their donors, which increases your junk mail. To avoid this, you can give through a Charitable Gift Fund (CGF) which hides your address. As an added bonus, it also helps simplify your taxes since you take a deduction when you put money in CGF, not when you disburse the fund’s money to individual charities. Loans and Investments: by putting your money in these places, you are loaning rather than donating it. Microplace: you make a small amount of interest and can invest in larger amounts than Kiva. Less hands-on interaction. Prosper and LendingClub: rather than put money into a savings account earning 1% interest, you can loan at higher interest to fellow Americans who need loans. Direct Donation: here are three places we featured on this blog for the Advent Challenge this past Christmas. I hope this helps, and I’d be glad to answer any questions. Happy giving! Every Tuesday in Lent we’re highlighting a different aspect of the global water crisis, so it’s very convenient that today is World Water Day. (I wish I could say I planned that, but I can’t.) Since the UN and every respectable NGO out there are doing their part to raise awareness, I thought I’d just post a few of the best links I found. I’ve arranged them in a kind of Easy Ten Minute Guide to World Water Day. Good resources from the official World Water Day site. Really cool campaign from One Day’s Wages. The inspiring impact of water filters in the Sudan from World Vision. Simple two minute graphic presentation from charity: water. In commemorating World Water Day, we pray especially for the millions who do not have access to clean water or who face regular water shortages. Millions of children die every year from preventable water-borne diseases, and it should not be so. On behalf of those who lack important resources, stir us to righteous anger and propel us to action, Lord. For your kingdom and for your glory, amen. God of life, God of all those who walk miles for water, God of those whose only supply is contaminated, bringing death, not life: May water, clean and lifegiving, be available toevery living creature. May that vision move forward. May your will be done. Amen. Donate your facebook or twitter status to raise awareness. Change your desktop background to one of these clever graphics to remind yourself about water. Make a contribution to our Simple Living Challenge through charity: water. Even $5 can change somebody’s life. Drink only tap water today, and remember those who don’t have it with each glass. So tomorrow it begins. Although right now we are, shall we say, a rather select group, I want to say a huge thanks to those joining us for our Simple Living Challenge. I’m anticipating learning a lot about my own consumption patterns as well as having a powerful daily reminder of the 800 million of God’s children who can’t just go to the faucet like I can. That being said, I’m drinking everything in sight today! And it’s not too late–if you’ve been considering participating, you can still sign on here. Moreover, we’ve decided to add a new wrinkle to the Challenge: for those of you who might feel that forty days is a bit much, why not join us for Tap Water Tuesdays? Every Tuesday in Lent would be a tap-water-only day, and I’ll be publishing something on the water issue each Tuesday morning. Tomorrow’s post: the de la Peña VanderPol family’s tap water vs. bottle water blind taste test…. Finally, I want to say how much I appreciate all other the creative ways I’ve heard different friends are celebrating Lent. The World Vision campaign seems especially excellent.